MainAll NewsInside Israel9-year-old hurt by gunshot in Beit El. 9-year-old hurt by gunshot in Beit El. Boy evacuated to hospital after being shot in the hand in Beit El. 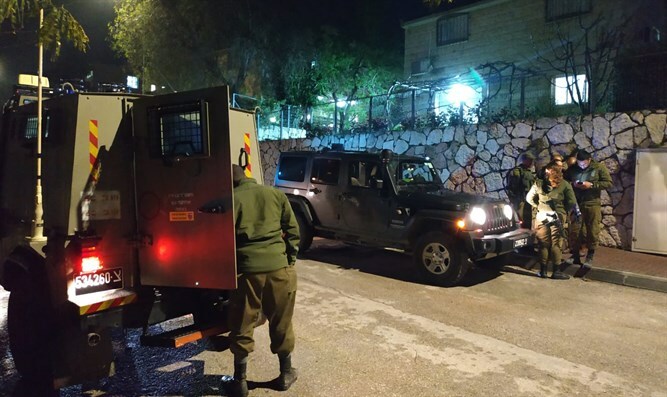 A nine-year-old boy was wounded by a gunshot in a home in Beit El Monday evening. Paramedics and Magen David Adom paramedics, assisted by an IDF medical force, provided him medical treatment and evacuated him to Shaare Zedek Hospital in Jerusalem in a minor condition with a finger and hand injury. The Beit El Council reported that "a 9-year-old child was injured in the hand by a shooting attack from the nearby village of Jilazon." The IDF stated that "a short while ago, a shooting attack took place from the city of Dura al-Qar', towards the community of Beit El, north of Ramallah. As a result, a child was lightly injured and was evacuated to a hospital for further medical treatment. IDF troops are searching the area."